1. All conditioned things are impermanent. 2. All negative emotions and grasping bring suffering. 3. All existing phenomena–all subjects and objects–are empty and egoless. 4. Nirvana or enlightenment is free from grasping and totally calm and peaceful. 5. Every living being has the same nature as an enlightened being. 6. No human is higher or lower than anyone else. 7. Mind is principal to matter. Photo of Ven. 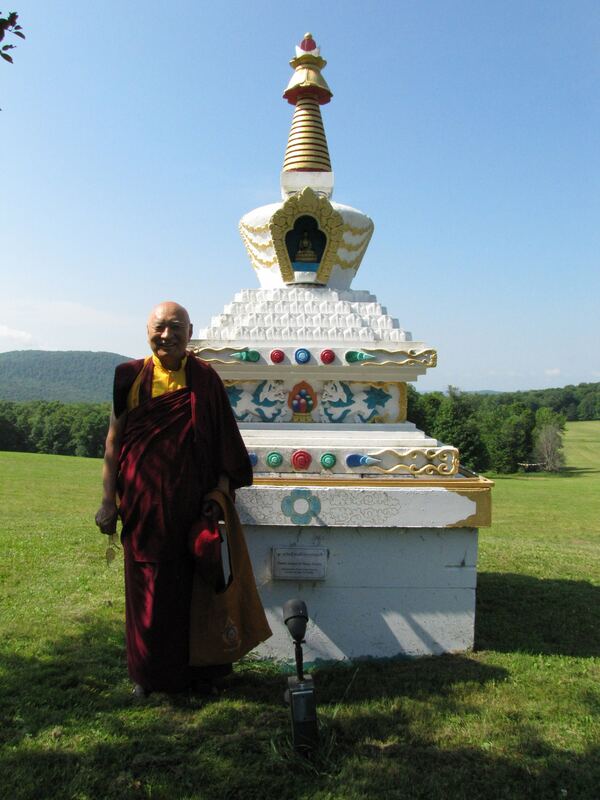 Khenpo Tsewang Dongyal Rinpoche today at Padma Samye Ling next to the Stupa of Turning the Wheel of Dharma on July 16, 2018.